You may remember my photo from Day 37 of this project... it was a knitted blanket in a moses basket just waiting for its little person to arrive and now he's here and oh gosh, he's lovely (and he loves my blanket, so chuffed). I've seen him three times now since he was born and the second time I got to take his photo at his home with his Mummy. Look at his adorable, perfect little face, gahhhh! I can't wait to take more photos of him as he grows up, hurray! 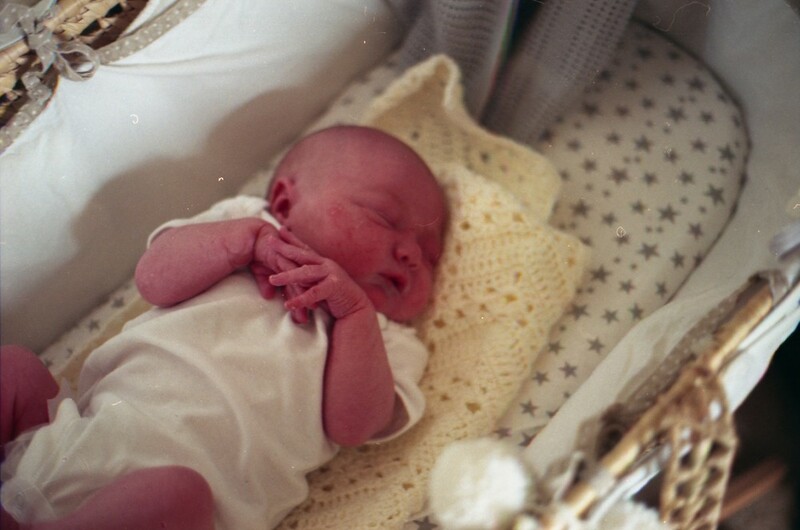 In Film Photography Tags little dude, canon eos 750, agfa vista plus 200, all my friends are having babies? !